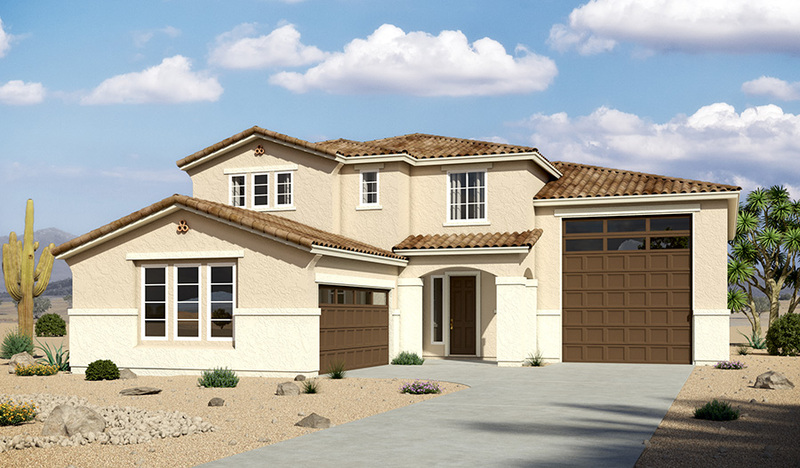 This model home showcases a versatile 48' attached RV garage! Inside, an expansive entryway provides access to a flex room, a laundry room, a mud room and a great room. The great room flows into a beautiful gourmet kitchen, which boasts a walk-in pantry, a large center island and an adjacent dining area with access to a covered patio. The upstairs features a spacious loft, providing another flexible hangout, plus two charming bedrooms—each with a walk-in closet—and a well-appointed master suite with a roomy walk-in closet and private bath.